The Anti Corruption Commission (ACC) on Sunday arrested an accountant of Rajdhani Unnayan Kartripakkha (Rajuk) and a businessman on graft charges. An ACC team, led by its deputy director Abu Barkar Siddique, arrested Rajuk accountant Tahmidul Islam Milon from the city’s Segunbagicha area in the afternoon., ACC public relations officer Pranab Kumar Bhattacharya told UNB. Milon was accused in two graft cases filed by the Commission with Shahbagh and Sher-e-Banglanagar police stations in October 2015, according to the ACC sources. One case against him was filed for allegedly laundering around Tk 98 lakh while another for his alleged fraudulence. 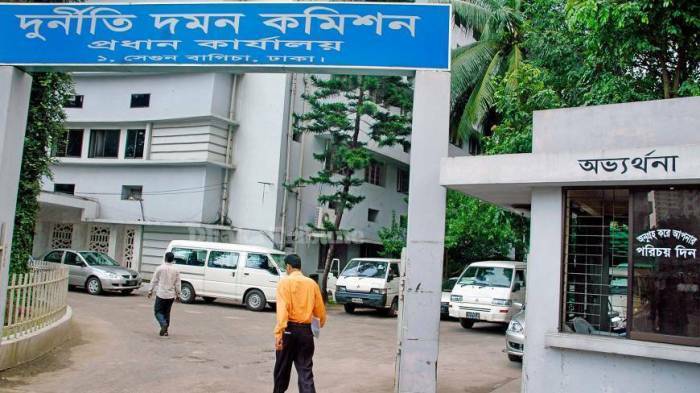 The ACC on Sunday arrested Sirajul Haq, deputy managing director of a garments factory, from Agrabad area of Chittagong on charge of embezzlement of Tk 1.63 crore. A team of ACC’s Chittagong Divisional Office conducted a drive in the area and arrested Sirajul in the afternoon, said ACC director Abdul Aziz Bhuiyan. ACC sources said Sirajul Haq, deputy managing director of FS Apparels Garments, drew Tk 1.63 crore from the Agrabad branch of Uttara Bank for shipment in 2003 and he remained missing since then. On October 20, 2003, the national anti-graft body filed a case against him with Double Mooring Police Station.